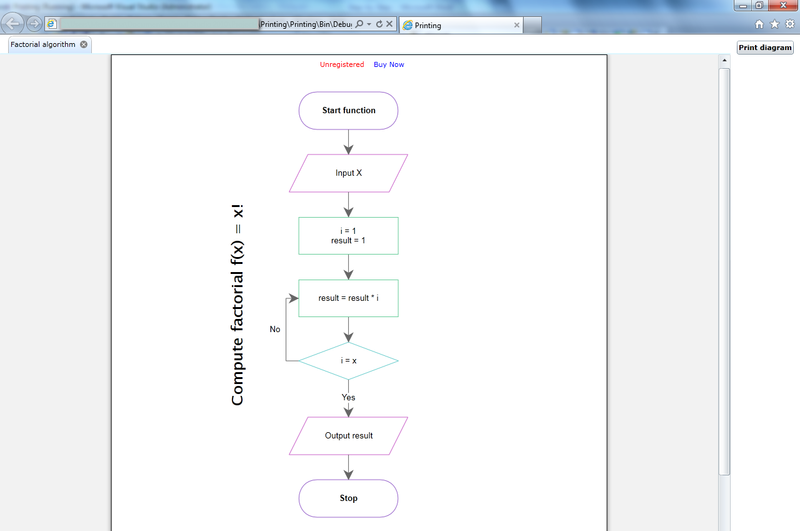 The template of an application in which the end user can print his diagrams. 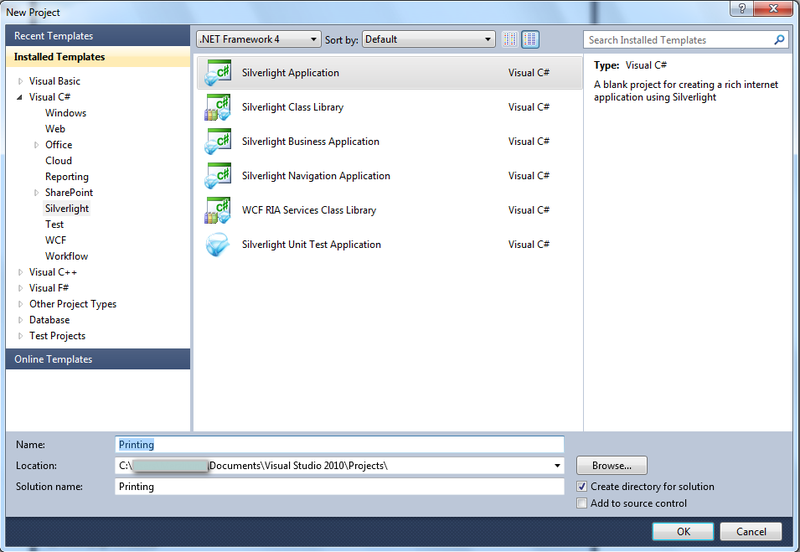 Create new project in Microsoft Visual Studio environment. Select item New\Project from the main menu. 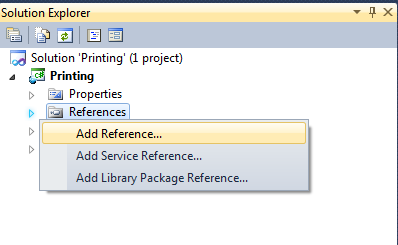 Select Silverlight Application, set name of the project – “Printing”, set directory to save the project to. 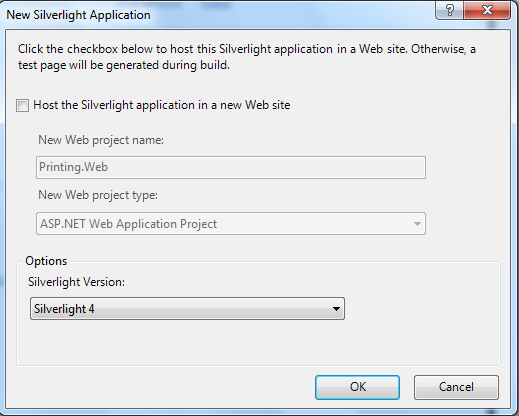 While creation of the project uncheck option “Host the Silverlight application in a new Web site”. 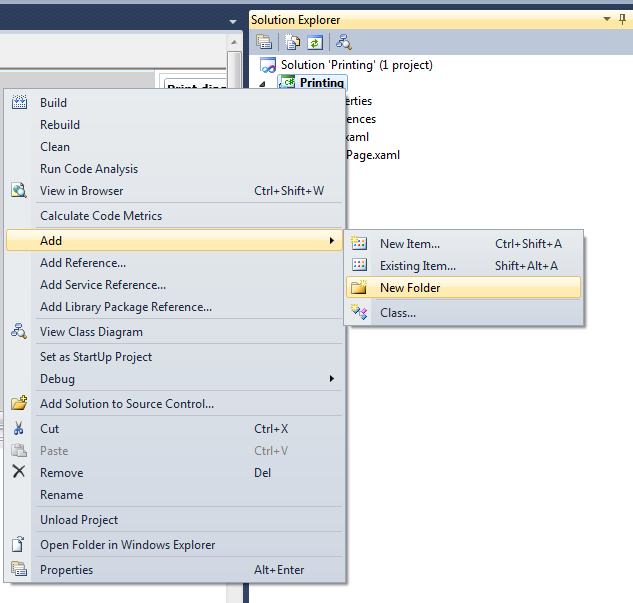 After that Visual Studio will create a new solution containing one project. 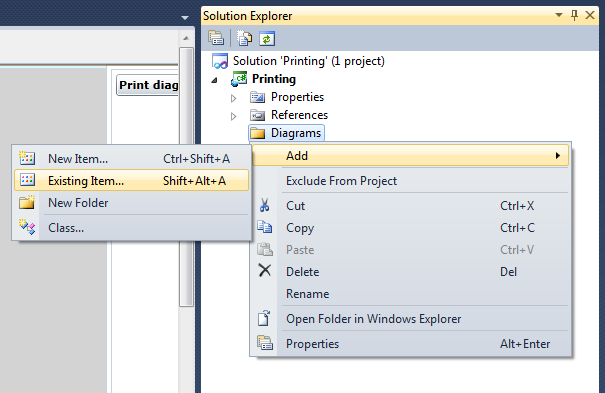 In order to do it, right-click References of the OnSelectionChanged in the "Solution Explorer" and select “Add Reference” item in the popup menu. 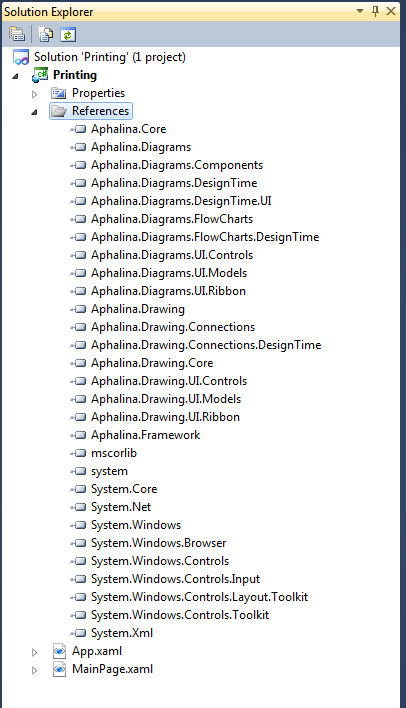 In order to view and change already created diagrams we need to add DiagramComponent control to the MainPage.xaml. Open it in the designer. 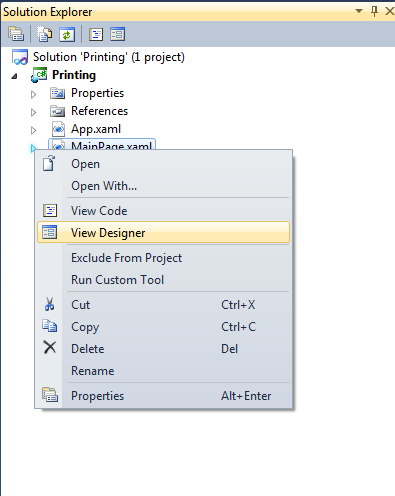 Right-click MainPage.xaml and select View Designer in the popup menu. 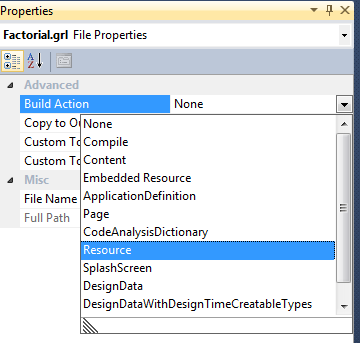 You need to add ready diagrams in your project. 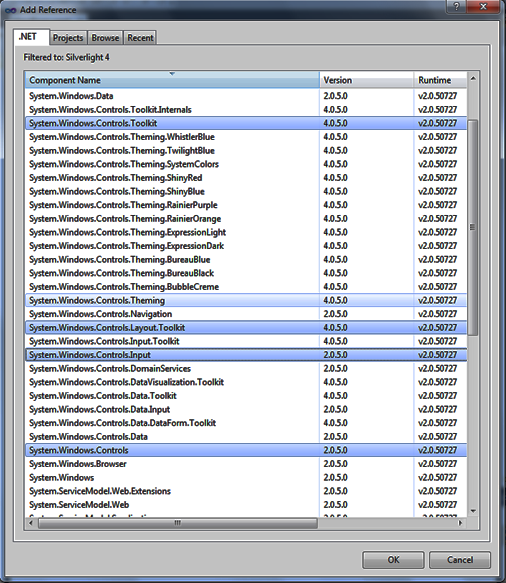 In order to do this right-click on Serialization, select Add, then select New Folder and name it Diagrams. 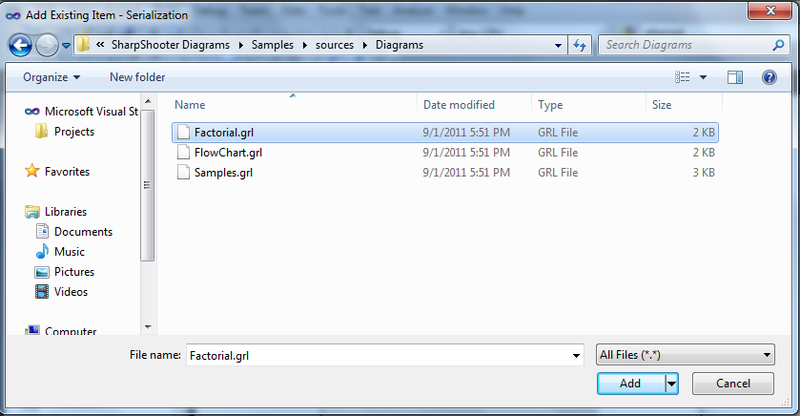 Then select .grl files, that you’ve created earlier or .grl files from the samples. Then click on Add. 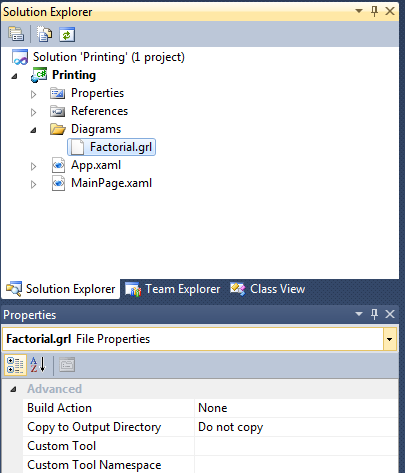 In this example we add Factorial.grl. 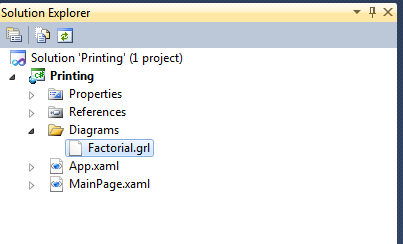 Then open Properties of added diagrams. Repeat these steps with other added diagrams. 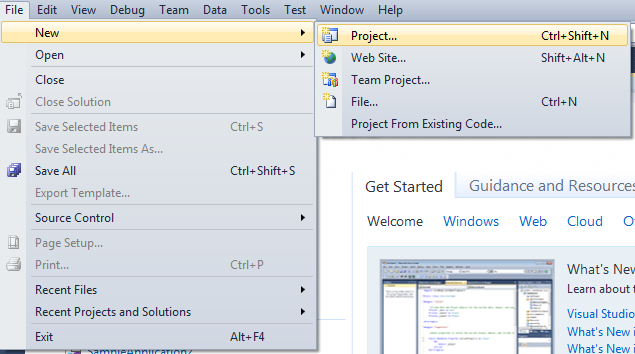 Launch application by clicking the “Start Debugging” button on the main Visual Studio toolbar. 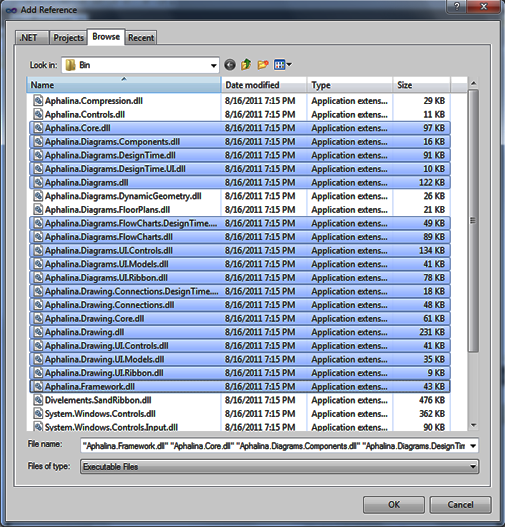 The application will open in the browser. 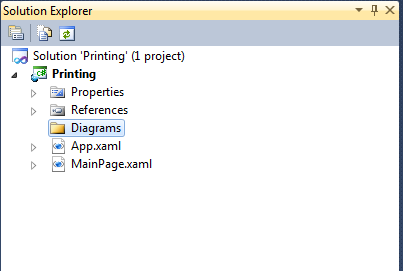 You can print your diagrams by clicking on Print diagram button.